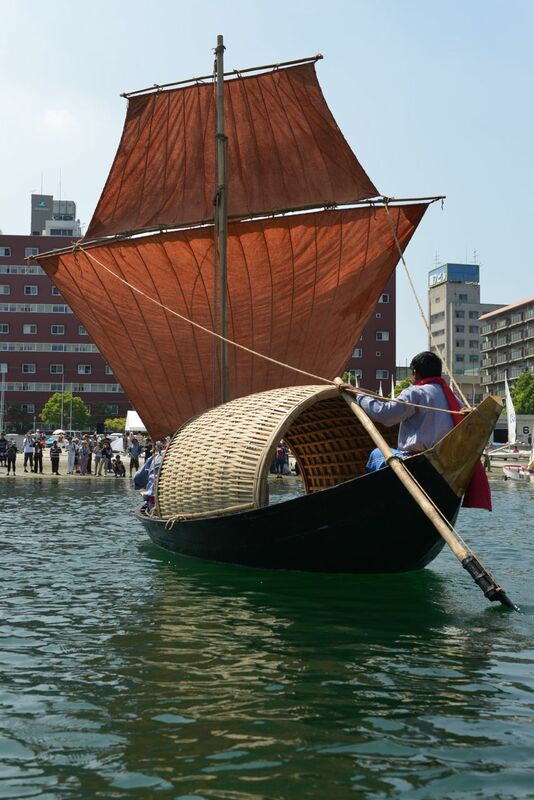 Last weekend saw the launching of the Bengali boat. 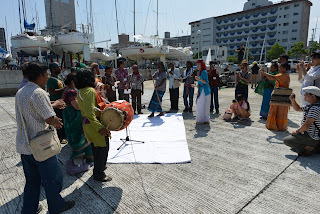 We had a good crowd with the Bengali craftspeople there singing and dancing. The Bengali ambassador, Mr. Masud Bin Momen, flew down from Tokyo and made some excellent remarks. 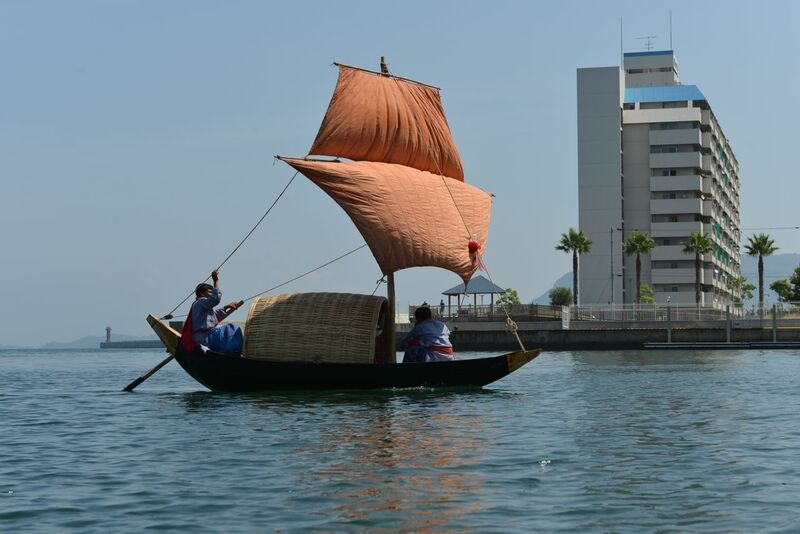 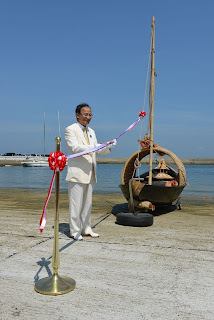 Fram Kitagawa, the organizer of the Setouchi Festivale, cut the ribbon and then the two Bengali shipwrights did a series of blessings for the boat. 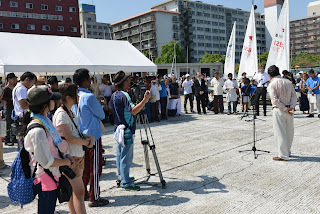 They also invited us to do a short Shinto blessing. You will note the bow of the boat is unpainted. 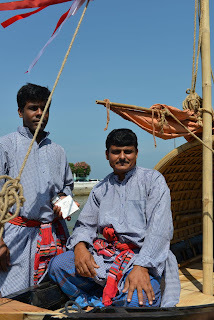 The Bengalis believe the “head” of the boat is sacred, and therefore should not be covered in any way. 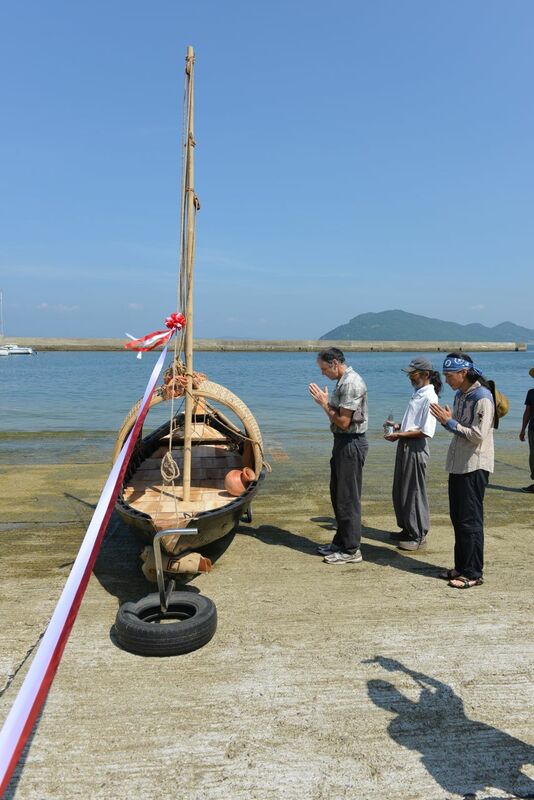 Their launching involved washing the bow of the boat and offering prayers to that spot. 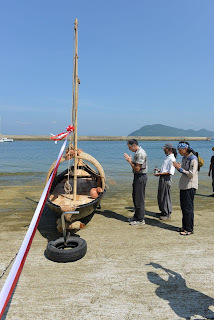 The full ceremony includes a series of candles that are lit and placed around the boat, but because the proper candles were not available the Bengalis omitted this part of their ceremony. They paddled their boat across the harbor and then sailed back with the prevailing breeze. They spent the next hour giving spectators rides around the harbor. The shipwrights and their interpreter left the next day, and we miss them. It was wonderful to get to know them and learn about their amazing traditions. 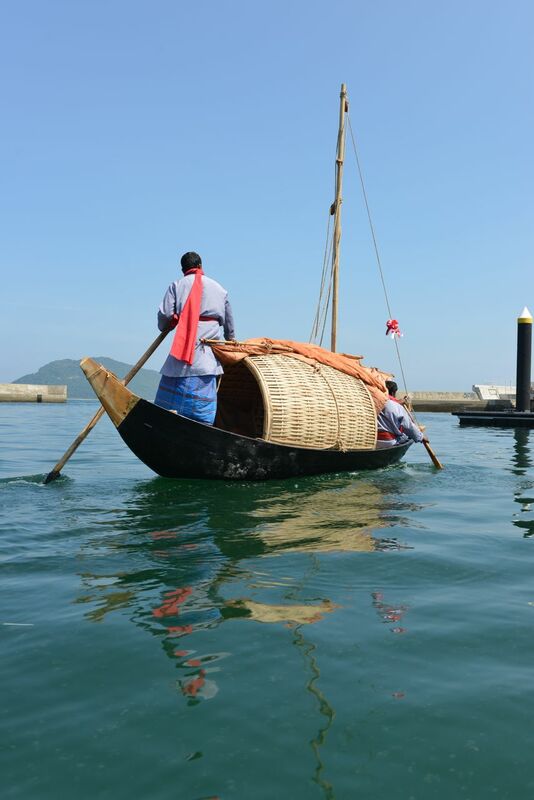 These photographs are all by Professor Kurakake of Nihon Art University.